It’s time to get out there and enjoy the sun, and you’ll want to soak it up at the best beaches. 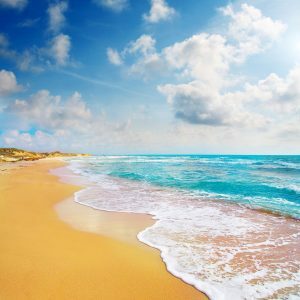 So here are some beaches in Tampa you should pay a visit to. Clearwater Beach is popular, so only go if you’re prepared for a crowd. Once named as the “Best Beach Town in Florida,” it has tons of beach amenities and sparkling waterfronts, plus attractions like dolphin-watching and fishing. In Sarasota, this beach was also named “America’s Best Beach” in 2011. Siesta Key impresses with quartz-crystal stand, which stays remarkably cool even on hot days, so forget the hot-feet dance down to the water! This gives you even more than a beach, it gives you camping! This park has over 1,000 acres of land that you can camp on. There’s trails for biking, walking, and a bunch of sandbars in a lagoon that are kid-friendly. Travelers rank St. Pete Beach as number one destination. The beach itself is full of white sand and dolphins swim not far off of shore. If you want food, there’s tons of classic Florida seafood restaurants near the beach.